After learning the basics in Pokémon Go, players will need to adopt some advanced strategies to benefit the most from the in-game systems. For this guide, we’ve put together a few tips that experienced players should keep in mind in order to maximize their results in Pokémon Go. Although Pokémon Go has fairly simple mechanics, there are a few tricks that experienced players can use to gain the most from catching, hatching, and evolving Pokémon. This guide lists several lesser known tips and tricks that can get you that much closer to becoming the very best trainer. One of the main selling points for Pokémon Go is its augmented reality feature. This feature uses your phone’s gyroscope and camera to place wild Pokémon onto real world backgrounds. Although this feature is a fun gimmick, it doesn’t really add much to the experience, and it can even make capturing Pokémon more difficult. 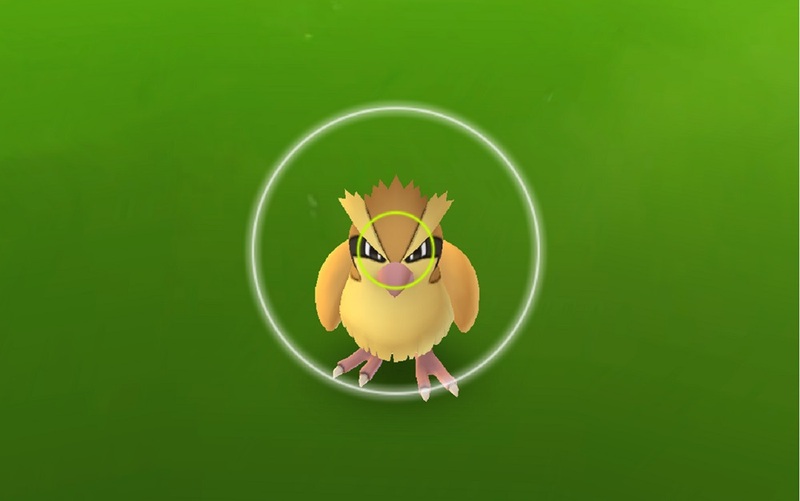 The next time you try to capture a wild Pokémon, tap the small slider in the upper right corner to disable AR and replace the background with a generic environment. This will keep the Pokémon centered and allow you to capture it more easily. Turning off AR also reduces battery drain, which is especially helpful in an energy-hungry game like Pokémon Go. Incense is used to attract Pokémon to a player’s location. Some players will try to use incense while sitting in one spot, with the hopes of easily catching Pokémon without having to go anywhere. However, the spawn rate for incense actually goes up when moving, meaning wild Pokémon will spawn near you more frequently when walking versus staying in one spot. When sedentary, Pokémon attracted with incense will only spawn once every five minutes, but when walking, incense will attract one Pokémon every minute or every 200 meters. Basically, use incense when on the move to find the most Pokémon. Lucky Eggs will double the XP bonus for any task that grants XP. It’s best to use a Lucky Egg just before performing a series of high XP activities in order to maximize your XP gain. One way to gain thousands of XP in minutes is to mass evolve the cheapest Pokémon after using a Lucky Egg. Start by capturing any Pidgey, Caterpie, and Weedle you come across. These Pokémon are the cheapest to evolve, and are found in abundance in most climates. Save up enough Candy to evolve several of these Pokémon, and wait to evolve them all at once. Just before your evolving spree, pop a Lucky Egg to double your XP gain. Coordinate this with the hatch times for several incubated Pokémon Eggs, and you should be able to quickly gain enough XP for at least a level or two in less than half an hour. As you may know by now, Pokémon Go features a trick that allows players to control and predict the evolution outcome for Eevee’s. By naming Eevee after one of the Eevee Brothers from the Pokémon TV show, a player can determine which evolved form that Eevee will turn into. This trick works at least once for each of Eevee’s three evolved forms. For details on how to do this evolution trick, check out our guide on how to evolve Eevee into Vaporeon, Flareon, or Jolteon. Players can earn free Pokécoins and Stardust by placing Pokémon in gyms and defending them from competitors. You can have up to 10 of your Pokémon stationed in gyms at a time, with only one Pokémon per gym. Defending gyms for a 20-hour period will reward you with 10 free Pokécoins and 500 Stardust for each defended gym. This can add up in the long run, so be sure to place your Pokémon into friendly gyms whenever space becomes available. You can join a gym by helping the gym raise its prestige, which will open up slots for new trainers to add Pokémon. Place your stronger Pokémon into gyms with high prestige in order to better defend the gym from competing teams. Head over to our guide on how to claim gyms and win battles for tips on taking over gyms in Pokémon Go. Tagged with Android Devices,	AR,	Guides,	ios,	Larryn Bell,	mobile,	Niantic.